This offer is only valid on flights operated by Qatar Airways. Fares are subject to change without prior notice. Blackout dates apply: Outbound: May 19, 2019 – July 20, 2019. Inbound: July 20, 2019 – September 10, 2019. Minimum stay: 7 days. Maximum stay: 4 Months (W), 6 Months (O/T), 12 Months (Q). Fares are inclusive of applicable taxes, fees and fuel surcharges (which are subject to change due to currency fluctuations). The break down will be shown during the online booking process. Fares are correct at the time of publication; however, the levels may vary based on fluctuations in the tax amount. Seats are limited, subject to availability, and may not be available on all flights. Seats are limited and are subject to availability of the relevant booking class. Changes at any time for a fee of $220.00 per person, per transaction. Cancellations at any time for a fee of $330.00. No child discount applies, as the charge is the same change fee for both adult and child. No change fee applies to infants not occupying a seat. Child/Infant Fare: child fares 75% of adult base fare. Unaccompanied child fare is same as adult base fare. Infant without seat 20% of Adult fare. Infant with a seat 75% of adult base fare. Click on ‘Fare Conditions’ from the online quote to view these and other applicable fare conditions. Fares are applicable to round-trip fares purchased at time of booking on qatarairways.com/us. Please note that on selected dates and destinations, lower market-specific promotion fares may be available. All available options, together with the applicable terms and conditions for each fare will be displayed at time of booking for you to make your selection. A different set of terms and conditions applies for travel originating from different countries. Discount applies to the base fare only. Not combinable with any other offer. Fares displayed in the booking engine include all applicable discounts, fees, taxes and airport charges, all available fare options and applicable rules will be displayed at the time of booking. Discount applies to Economy Class and Business class only at the time of booking. With the following exceptions, flights to and from Bahrain, Egypt, Saudi Arabia and United Arab Emirates. Discount is applied to fare only, not taxes and carrier-imposed fees. Lowest fares/offer available will be displayed in the booking engine. Seats are limited and are subject to availability. Privilege Club members can earn 5,000 Qmiles in Economy Class and 10,000 Qmiles in Business or First Class, exclusively when booking at qatarairways.com during the offer period. Book before Tuesday, November 27, 2018. To be eligible for the bonus Qmiles, log in to your Privilege Club membership account by Wednesday, December 5, 2018 and register at least 24 hours prior to travel, whichever is earlier. Not a member yet? Join now. Bonus Qmiles will be earned over the base Qmiles earned on Qatar Airways flights during the offer period. Tier bonuses, promotional bonus Qmiles and family accrued Qmiles will not be taken into account in the calculation of the offer bonus. Bonus Qmiles is calculated based on the combination of Booking Date, Flight Date, Cabin, Fare Family Purchased and Booking Channel. In case of overlapping campaigns member will get highest bonus Qmiles. Plan a trip to Doha and enjoy up to four complimentary nights at The Ritz-Carlton Doha — exclusively when you book your ticket at the official Internet web site of Qatar Airways. Save at least 40 percent on greater than two million properties around the world and earn Qmiles with Booking.com. This offer is valid for reservations booked through Tuesday, November 27, 2018. Enjoy a discount of up to 20 percent off Al Maha Gold and Platinum Meet and Assist services — which is designed to ensure a comfortable and speedy experience when arriving, departing or transferring through Hamad International Airport — as well as access to an airport lounge in Doha when you purchase the service you want by Tuesday, November 27, 2018. 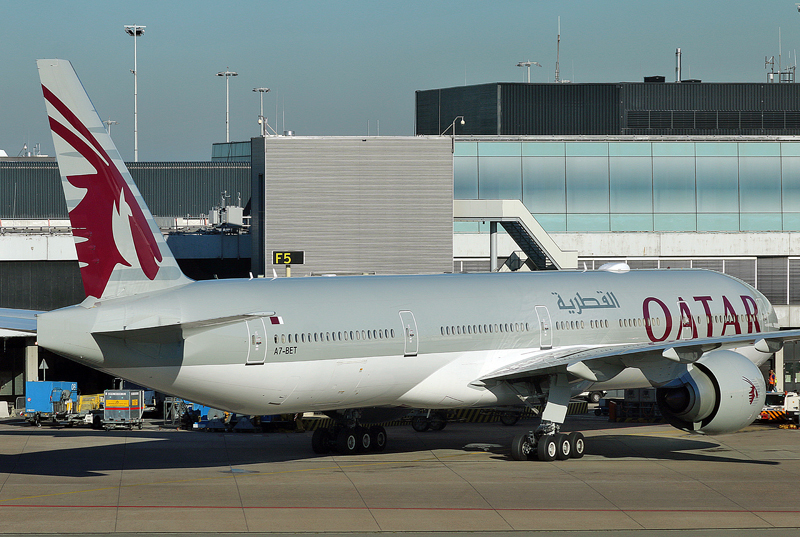 The discount applies to passengers travelling on flights operated by Qatar Airways worldwide. Once paid, booked services cannot be refunded — even if you do not show up to the lounge for which you paid. Changes are permitted up to 24 hours prior to departure; but changes are not permitted within 24 hours of departure. Other terms and conditions apply — please refer to the detailed terms and conditions at time of booking the service. Receive a discount of 20 percent when you pay a minimum of $150.00 in United States dollars to rent a car at greater than 50,000 locations worldwide. After completing your booking on qatarairways.com, use the promo code and link found in the flight booking confirmation page and email to book your car rental. Many offers are included with the Black Friday sale — but most of them expire on Tuesday, November 27, 2018; so if you are considering taking advantage of them, do so as soon as possible.